Considering the collapse of the 2012 White Sox, the team losing A.J. Pierzynski and Kevin Youkilis to Free Agency, one might not expect the 2013 White Sox to fare any better. But, looking on the bright side, they should have a solid starting staff, with Chris Sale having another year of experience under his belt, and, hopefully, the return of a healthy John Danks. That’s a pretty good 1-2 punch. Next is Jake Peavy. Not a bad 1-2-3 punch, if you ask me. Follow those 3 with Gavin Floyd and/or Hector Santiago/Jose Quintana, not too shabby. An “expert” may look on the not so bright side, and see a “whole lotta outs in the lineup”. 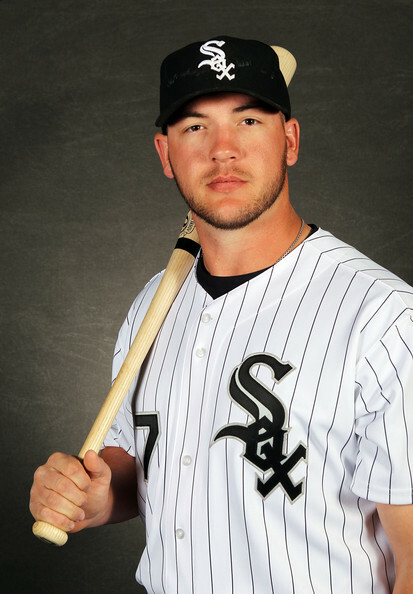 Between Gordon Beckham, Alexei Ramirez (both struggled in 2012) and the newly anointed starting Catcher, Tyler Flowers, that’s a combined average of .237 (which equals a whole lotta outs). While some say Beckham’s and Ramirez’s defensive prowess make up for their offensive deficiencies, many White Sox fans disagree. But, if Alex Rios and Adam Dunn can carry over their production from 2012 into 2013, the Sox could be in the running for the division title again. The addition of Jeff Keppinger at third base, while not a high-profile move that White Sox fans had grown accustomed to with former GM Kenny Williams, he is solid at the plate and in the field. Let’s take a look at the Sox payroll for the 2013 season…. Alex Rios has 2 years left on his deal worth at least 26 Million Deal. He has a 3 Slash line of .304/.334/.850 with 25 HRs and 91 RBI in 2012. The man also added 23 SB – and finished 15th in AL MVP Voting. His 13 Million Dollar/Per year Deal doesn’t look so bad with that production as compared to his 2011 year with a line of .227/.265/.614 – that made his current deal look like an albatross for the team. Alex Rios RF: $13 Million, signed through 2015 (Team holds an Option for 2015), Free Agent in 2016. Rios has had a case of Jekyll and Hyde since the White Sox acquired him through waivers from the Blue Jays. Good, bad, good, bad. 2012 was a very good season for Rios. 2011, not so good. In fact, pretty darn terrible. What does that say for Rios in 2013? Sox fans certainly hope he can break the good/bad streak and have solid back to back seasons. We will see. Alejandro De Aza CF: $2,075,000, signed through 2014, then eligible for arbitration. De Aza seemingly came out of nowhere in 2012. He became a solid lead-off man, stole bases, and produced many clutch base hits/home runs. A nice surprise. His defense became a bit of a liability as the season progressed and seemed tired/run down/worn out by season’s end. But, many considered De Aza the team’s MVP for part of the season. Dayan Viciedo LF: 2013 salary TBD, Viciedo was a hot commodity coming from Cuba in 2009, when the Sox signed him to a 4 year $10,000,000 contract. He finally became a starter in 2012, putting up quality power numbers, 25 HRs and 78 RBI. Not bad rookie stats. A White Sox fan’s complaint would be that Viciedo is always swinging for the fences, much like Carlos Quentin would in his tenure for the White Sox. He needs to shorten his swing, and lessen the amount of strikeouts. Although the Sox weren’t necessarily sure where he fit in the field (he’s probably a DH, but so is Adam Dunn), he played fairly well in LF defensively, committing only 2 errors. Jeff Keppinger took over at 1B for a struggling Carlos Pena in 2012 and set career highs in Avg (.325) and OBP (.367). Keppinger had 125 hits in 115 Games. As a career .288 hitter – with only 173 SO in 2459 AB, Keppinger’s 3 YR deal for 12 Million is a fair. His contact hitting helps combat the Strikeout rates of Dunn and Rios . Jeff Keppinger 3B: $4,000,000, signed through 2015, Free Agent in 2016. Signed as the replacement for the very popular Kevin Youkilis, Keppinger can wear many hats, but will be the everyday third baseman (unless Rick Hahn does something else before Opening Day, and he claims “he’s not done”). Keppinger is solid at the plate, doesn’t strike out very often (which is exactly what the White Sox need in their lineup), and plays a pretty good third base defensively. When the Sox first signed Keppinger, I thought it was to replace Gordon Beckham at second, but, it appears he’ll remain in the lineup and start. All in all, most think Keppinger is getting more $ than deserved, but with the Free Agent class of Third Basemen being as weak as it was, the Sox had to overpay. Alexei Ramirez SS: $7,000,000, signed through 2016, Free Agent in 2017. Ramirez was much sought after like his fellow Cuban, Viciedo. 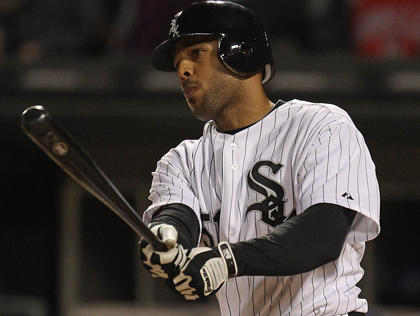 Ramirez started off with a bang in 2008, helping lead the White Sox to a division title and hit 4 Grand Slams. He finished second in ROY voting and looked to have a bright future. While Ramirez has been a Gold Glove caliber shortstop, he’s struggled at the plate since his rookie season. He signed a nice, probably club friendly contract last season, and hopes to live up to it in 2013. He and Beckham have become one of the better SS/2B combinations defensively in baseball. Gordon Beckham 2B: $2,925,000, signed through 2013, Arbitration Eligible in 2014. The aforementioned Beckham has been a stud defensively for the Sox. He started off at third base in his rookie year of 2009 out of necessity for the team, and transitioned nicely to second base in 2010. Though Beckham was a SS at Georgia, he has become one of the better defensive second baseman in the game. But, he has really struggled at the plate. In 2009, he was said to have had one of the better offensive approaches for a rookie in quite some time. Something happened in the off-season leading up to 2010. No one really knows what, or why, but Beckham has developed a huge hole in his swing. Sox fans are growing impatient. While second base may but a premier power position like 1st or 3rd, a second baseman shouldn’t be hitting 9th in the lineup. Paul Konerko 1B: $13,500,00, signed through 2013, Free Agent in 2014. Konerko has been a solid producer for the Sox for years. But, he’s 37 now, and on the downside of his career. In the first half of 2012, Konerko was producing like he was 27, but that changed after the all-star break when he experienced problems with his wrist again (a problem that I referenced in my previous article here: This is the final year of Konerko’s lucrative contract. Rick Hahn, the Sox new GM, has already said that they will spell Konerko even more this year than previously, and swap 1B and DH roles with Adam Dunn. Paul’s range at 1B has lessened the last couple of years and the hope is that more time at DH will keep him healthy all season long. $7M of 2013 salary deferred, paid in $1M installments 2014-20. Paul Konerko heads into the last year of a contract. At 37, Konerko has averaged 32 HRs and 94 RBI over the last 3 years – and has made 3 straight ALL-Star Appearances. Will he earn another contract with the Southsiders for 2014 and beyond? Adam Dunn DH: $15,000,000, signed through 2014, Free Agent in 2015. Dunn had a major bounce back season in 2012, posting a 41 HR, 96 RBI line. He only it .204, but, walked 105 times. Dunn had probably one of the worst statistical seasons in 2011 for the White Sox, and fans wanted him gone. Last year, Dunn became a fan favorite and put up numbers most baseball fans expect from Dunn. Dunn will probably see more time at 1B this season than in years past. If Dunn and Rios can have years like they had in 2012, the Sox can probably contend. It would be nice if Dunn could reduce his strikeouts, but that’s unlikely to happen. Tyler Flowers C: Arbitration Eligible. Flowers is replacing fan favorite, A.J .Pierzynski, who moved on to Texas. Flowers, while stronger defensively, and much more adept at throwing out base-runners than Pierzynski, his bat leaves quite a bit to be desired. Strikeouts have been a problem for him his entire career. Though he’s probably one of the strongest men in the game (and he hit one of the longest Home Runs I’ve ever seen in Toronto last season), he swing tends to be all or nothing.) The Sox staff and management have confidence in Flowers, so, we’ll see how 2013 pans out for him. DeWayne Wise OF: $700,000, signed through 2013, Free agent in 2014. Wise was a nice pick up last year for the Sox. Claimed off waivers from the Yankees, he produced immediately when Alejandro De Aza was placed on the DL. Most famous for his Mark Buehrle perfect-game-saving-catch in 2009. Wise is a decent utility player and a small piece to the puzzle. Jordan Danks OF: $480,000 The younger brother of Sox pitcher John, Jordan is a utility player at this point, and occasional spot starter. John Danks SP: $15,750,000, signed through 2016, Free Agent in 2017. 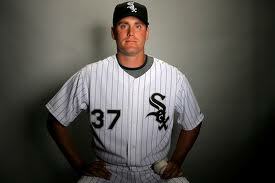 Older brother of Jordan, Danks has been a solid starter for a few years now. Last season, however, was an injury plagued one for Danks. He needed shoulder surgery, and missed most of the season. Sox fans wonder that if Danks had been healthy, would they have won the division? (we’ll discuss Jose Quintana later) If the Sox are to have any hope of hanging with the Tigers this season, Danks must be healthy, and pitch to his contract. Chris Sale was an ALL-Star and finished 6th in AL CY Young Voting in 2012. He makes an entry-level contract and every team needs a guy like this to help offset a team payroll. Gavin Floyd needs to try to find his 2008 form – where he went 17-8 – with a 3.84 ERA. Peavy threw his most Innings Pitched since 2007 – (when he won the NL Cy Young Award) and yielded a respectable 3.37 ERA in 2012. He kept his team in a lot of games. He is making ace like money this year. Jake Peavy SP: $14,500,000, signed through 2014 (with an option for 2015), Free agent in 2016. Peavy is considered a medical miracle by some. He suffered a torn latissmus dorsi in 2010, had the tendon re-attached, and pitched himself to the All Star Game last season. He also pitched himself to a new contract with the White Sox. A favorite in the club house, Peavy has also become a fan favorite. He helps form a formidable front 3 in the Sox rotation, and has one of the best sliders in the game. Chris Sale SP: Arbitration Eligible. Drafted in 2010, Sale was called up to the big leagues almost immediately. He had a solid 2011 in the bullpen for the Sox, and then became an All-Star starter in 2012, posting 17-8 record with a 3.05 ERA. One of the most impressive young starters in the game, Sale’s productivity tailed off a bit in August and September. Considering it was his first full season as a starter, this was not a surprise. Expect even better things this season for Sale, with several much-anticipated match-ups against Justin Verlander once again. Gavin Floyd SP: $9,500,000, signed through 2013, Free Agent in 2014. One of the most maddening pitchers for White Sox fans. Completely dominant one game, terrible the next. While Floyd has great stuff, and one of the best curveballs in the game, he often becomes erratic, and allows his fair share of home runs. A quality 4, Floyd has been the topic of trade rumors for years now. Will he be on the roster on the Opening Day? We shall see. Jose Quintana SP: $480,000. A life-saver for the Sox last season. Quintana came out of nowhere to replace the injured John Danks and did so wonderfully until, like other young pitchers, hit the wall in late August. Though some still project Quintana to be better served as a long reliever, he will most likely be the Sox 5th starter this season. Hector Santiago SP/RP: $480,000. Santiago actually started the 2012 season as the closer for the Sox. But, this didn’t last long, as he struggled, and the Sox eventually settled on Addison Reed as their closer. After a brief stint in the minors stretching out, the Sox re-called Santiago and used him as long relief and eventually, a couple quality starts. Santiago will most likely battle Quintana for the 5th starter spot in 2013. Addison Reed RP: $480,000. Reed has electric stuff and started off 2012 as a set-up man. As the season progressed, Reed eventually became the closer and never relinquished that position. Reed hopes to improve on his success in 2012, and have a 40-45 save season. This is an ideal statistic for Sox fans. Nate Jones RP: $480,000. Another one of the Sox quality rookie bullpen arms in 2012, Jones also enjoyed great success. While he could very well be a closer, he’s done great work in the 7th or 8th inning. He’ll be a huge part of the Sox bullpen success this season. Matt Thornton RP: $5,500,000. Signed through 2013, $6,000,000 option in 2014. Thornton has been a consistent Left-Hander out of the pen for the Sox for years. Not only gets lefties out, but also Right-Handers. Jesse Crain RP: $4,500,000. Signed through 2013, Free Agent in 2014. Another solid veteran in the Sox’ bullpen. Has a devastating change-up. Can walk the ball park on his bad days. Matt Thornton has been a steady LHP out of the BP for the Sox since he arrived 7 years ago. He has averaged 68 AP per year, a SO/Per 9 rate of 9.6 and has a 3.25 ERA for CWS. Matt Lindstrom RP: $2,800,000. Recently signed power arm to fill the spot the bullpen that Brett Meyers vacated. Should be a quality veteran arm in the pen. Donnie Veal RP: $480,000. A diamond in the rough found by Kenny Williams IN 2012, Veal was a high draft choice of the Cubs years earlier. He was called up to the Sox in mid-season, and was perfect against the left-handers he faced. Jhan Marinez RP: $480,000. 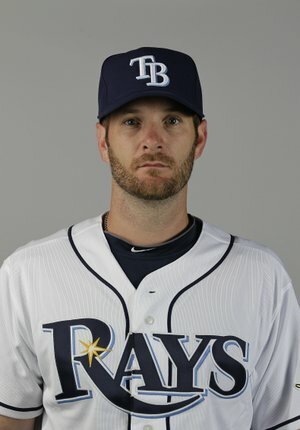 A September call-up in 2012, he will fight for a bullpen spot in 2013. Brian Omogrosso RP: $480,000. Another mid-season call up for the Sox, had some bright spots in 2012. May find a role as long reliever in 2013. Dylan Axelrod RP: $480,000. Life-saver for the Sox in 2012 as both a spot-starter, and occasional reliever. Will also be in the running for long middle relief in . Nestor Molina RP: $480,000. Acquired from Toronto in the 2011 off-season in the trade for Sergio Santos (a trade I still don’t understand to this day), will probably spend the majority of 2013 in the Minors. Brent Morel 3B: $480,000. The opening day starting 3rd baseman for the Sox, injured himself, and never saw the field again once Kevin Youklis was acquired. Above average defensively, poor offensively. May make the team as a utility infielder. More than likely will be in Triple A.
Hector Giminez C: $480,000. Backup catcher behind Tyler Flowers. Sox fans better hope Flowers works out…. It is only January, and new GM Rick Hahn has been quoted as saying that he isn’t done yet. The Sox are rumored to be interested in a left-handed bat. Jason Kubel’s name has been thrown out there. (Though that seems unlikely now that Justin Upton has been traded.) I’ve also heard Ben Zobrist in the rumor mill. We will see. Look for the final number to rest between 120-130 Million Dollars. It is a critical year for the 27 Year Old Catcher ‘Flowers – in taking over for A.J. Pierzynski. While he has hit for a low average of .205 so far in his MLB Career, he does have 12 HRs in just 273 AB. Flowers is Arbitration Eligible in 2015 – and under team control until 2018. Posted on January 28, 2013, in MLB Payroll and Contracts, The Rest: Everything Baseball and tagged @brianm731 on twitter, a.j. pierzynski, addison reed, alejandro de aza, alexei ramirez, ben zobrist, brent morel, brett myers, Brian Madsen, brian omogrosso, carlos quentin, chicago white Sox 25 man roster, chicago white Sox 40 Man roster, Chicago White Sox Payroll in 2013, chris sale, dayan viciedo, donnie veal, dylan axelrod, gavin floyd, gordon beckham, hector santiago, jake peavy, jason kubel, jeff keppinger, jesse crain, john danks, jordan danks, jose quintana, justin upton, justin verlander, kenny williams, Mark buerhle, matt lindstrom, Matt Thornton, nate jones, paul konerko, rick hahn, sergio santos, Tyler Flowers, white sox. Bookmark the permalink. 1 Comment.